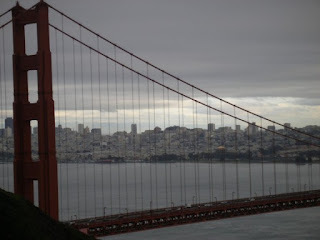 I love taking pictures of the Golden Gate Bridge. Obviously it is a fantastic landmark, but it also has some beautiful natural landscapes around it. 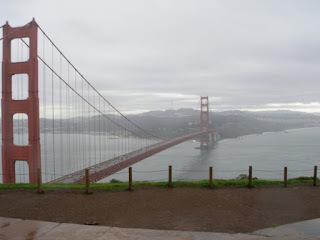 There are many vantage points around San Francisco where you can take a fantastic picture of the bridge. You can take pictures of the bridge from below at Fort Point. 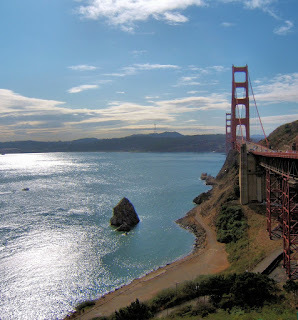 Fort Point is a National Historic Site located under the Golden Gate Bridge at the entrance to San Francisco Bay. It is an excellently preserved fort from the mid-1800's and worth taking a look at, especially if you are interested in military history. It is quite an interesting perspective being partially under the Golden Gate Bridge. 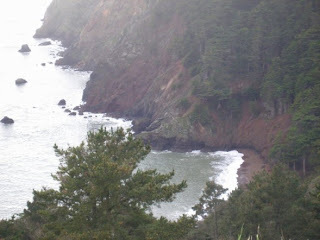 The other option to get a similar view is to take a cruise on the bay. You can take a bay cruise that will take you under the bridge and just on the other side. This gives you a perspective of the bridge like no other, not even the same as you can get from Fort Point, since the fort is at one end of the bridge and has a special arch built over it. 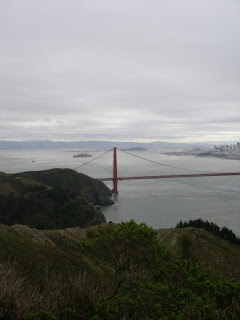 Also, I recently went to the other side of the bridge, to the Marin Headlands. 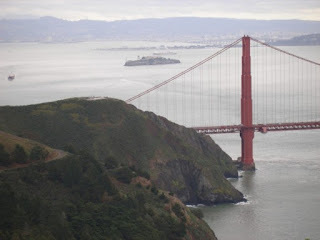 The Marin Headlands, part of the Golden Gate National Recreation Area, offers spectacular views of the Golden Gate Bridge, the city, and surrounding areas. 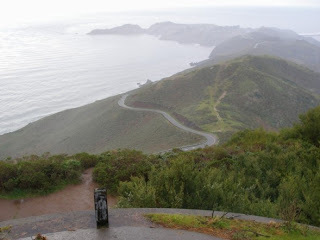 The day I went to the Headlands, it was drizzly and grey, but I was definitely impressed. I will be sure to go back on my trip this October and take more pictures. Some of the pictures I took from the other side of the bridge are posted below.